All Chinese astronauts who have traveled to space have reviewed the oath they took when they joined a special People's Liberation Army battalion. The ceremony has been held as part of a series of events to celebrate the 20 birthday of the battalion. The battalion is responsible for training China's astronauts. During the latest ceremony, the astronauts pledged to train harder in the days ahead so as to stand ready for space missions at any time. The PLA battalion for astronaut training was created in in January, 1998. 14 pilots were initially selected to launch the new battalion's training programs. 7 new pilots were added to the unit in 2010, bringing the total number of China's astronauts to 21. 11 of them have made trips to space on the heels of Yang Liwei to become the first Chinese astronaut in space in 2003. 51-year-old Jing Haipeng currently holds the Chinese record for space flights at three. China was a late comer to space exploration, not sending its first satellite into orbit until 1971. However, Chinese authorities have pumped enormous amounts of money and resources to back the country's space missions. Plans are underway to establish China's own space station, an alternative to the existing International Space Station after it retires over the coming decade, by 2022. 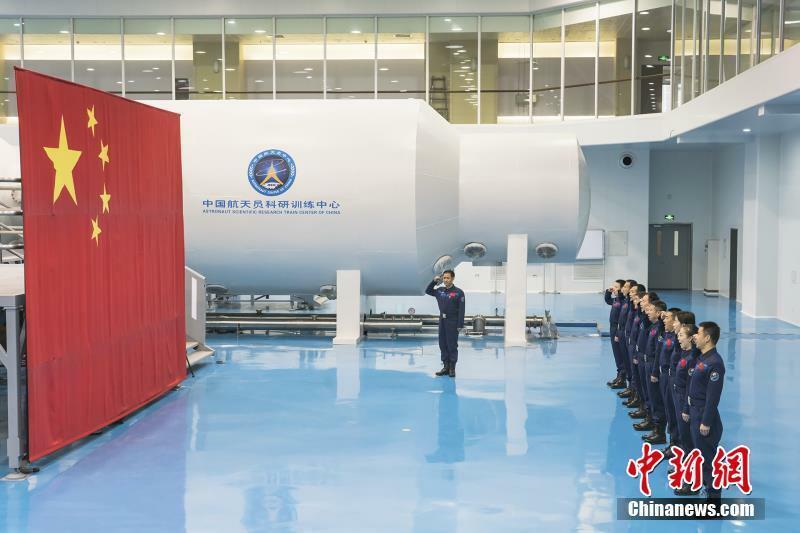 A prototype of the planned station, Tiangong-2, was launched into space in 2016. Chinese space scientists are currently looking at the possibility of sending Chinese astronauts to the moon at around 2035.